This entry was posted in Market News on April 24, 2019 by Tony. Home shoppers Optimistic but do they expect a recession? SANTA CLARA, Calif. – April 3, 2019 – Nearly 70 percent of home shoppers this spring think the U.S. will enter a recession in the next three years, but that hasn’t stopped them from trying to close on a home, according to new survey data released by realtor.com. Even though they expect another recession, they don’t believe it will be as bad as the 2008 one. Overall, nearly 30 percent of 1,015 active home shoppers surveyed expect the next recession to begin sometime in 2020; 12 percent expect sometime in 2019; 16 percent expect sometime in 2021; and 12 percent expect 2022. Nearly 10 percent don’t expect a recession until 2024 or later, and another 21 percent said they didn’t know. The online survey was conducted earlier this month with Toluna Research. According to the survey, even though 63 percent of shoppers report that home prices are increasing compared to last year, 56 percent of shoppers believe home prices have hit their peak. The feeling that home prices have topped out could be a reflection of shopper beliefs that a recession is in the not too distant future. In fact, those expecting the recession sooner were more likely to report that home prices had peaked, says Danielle Hale, realtor.com‘s chief economist. “The U.S. economy has been on a hot streak for the last seven years, producing steady economic growth and low unemployment rates. Historically, this type of growth hasn’t continued indefinitely, and U.S. home shoppers think it will come to an end sooner rather than later,” says Hale. When asked if the U.S. housing market would fare better or worse than the 2008 economic recession, 41 percent responded with better; 36 expect it would be worse; 23 percent expect it to be the same. The fact that some home shoppers expect the next recession to be harder on housing than the last recession suggests that they are buying homes with eyes wide-open and very sober, Hale says. This buyer outlook stands in stark contrast to the years leading up to the last recession when “irrational exuberance” about the market’s future was more common. It’s also another reason to expect the next downturn to be very different for housing than the last one. “When the U.S. enters its next recession, it is unlikely that the housing market will see a sharp nationwide downturn. The same record low inventory levels that have made buying a home so difficult recently will likely protect home prices in the next recession,” Hale adds. According to the survey, 45 percent of home shoppers feel at least slightly more optimistic about homeownership after the 2008 recession. Less than one in four – 22 percent – feel at least slightly more pessimistic about homeownership, while 33 percent reported no impact on their feelings about homeownership. The duration of the recovery from the last recession could explain the optimism reported by some buyers. Since 2010, home prices across the U.S. have grown by 49 percent, the U.S. economy has grown by $3 trillion and 18.7 million more jobs have been created. This persistent optimism toward homeownership is likely a key reason that home shoppers are confident and looking to buy, even as they expect a recession to be approaching. This entry was posted in Market News on April 4, 2019 by Tony. DO YOU LIKE THE OPEN CONCEPT ? BOSTON – April 3, 2019 – The open floor plan – a kitchen, living room and dining room often part of one large open space – has been a highly sought after layout among homebuyers for many years now, but homeowners who already live in open-concept homes say they’re starting to miss the walls. “Buyers are moving away from uninterrupted views,” Loren Larsen, a real estate professional with Compass in Boston, according to what she frequently hears from clients. Owners of great-room homes, she says, no longer want their kitchen, along with all its dirty dishes, on full display. Life can also be too loud in open concept living, says Bob Ernst, president of FBN Construction. The family togetherness that open concepts bred may ultimately be too much togetherness to some homeowners now. Parents find it difficult to watch adult TV programs if their school-age children are not in their rooms, or to conduct a work call in private. However, some homeowners may be struggling to voice their dislike of the open concept. “The message [of open concept living] is so powerful that to admit you don’t want to live in a house as open as a soccer field is to reveal something shameful,” The Boston Globe reports. After all, the open floor plan was partially driven by the desire of parents to always be around their children, even when they’re in the kitchen. Also, some may be concerned that admitting a dislike for open floor plans is akin to saying they’re not relaxed enough to chat with guests while they prepare a fancy meal or neat enough to keep their rooms clutter-free at all times. Open-floor remorse is even prompting some homeowners to consider adding new walls or sliding doors to bring in some privacy. Nevertheless, current home shoppers still show a high desire for open floor plans. YOU SHOULD CALL MARCO ISLAND HOME! ARE YOU READY TO CALL MARCO ISLAND YOUR HOME? Marco Island is the largest and only developed island in Florida’s Ten Thousand Islands, and its pristine waters, beautiful coastlines and spectacular community feel attracts people from all over the world! Packed with great amenities and things to do, this 4 mile by 6 mile Island, developed in the 1960s, has something for everyone. The beautiful white sand beaches, great water sports, and over 90 restaurants and bars was rated the #1 Island in the United States by Trip Advisor and #4 in the world in 2014! Our resort island has definitely been “discovered” as the JW Marriott has completed its renovation, becoming one of the best 5 star hotels in the world! Island Realty Marco’s office is just across the street from the JW marriott. People come from all over the World to enjoy our fishing in the Ten Thousand Islands. If you have never taken an eco boat or kayak tour of the Ten Thousand Islands, you really need to. It is beautiful, educational and you can see dolphins, maybe some manatees and all types of wildlife. Off season, our island has around 17,000 full time residents; in season it swells to around 40,000+. Season is always packed full of fun events if you could tear yourself away from the beach for long enough! From the Seafood Festival to outdoor art shows, movies in the park, our popular farmers’ market, and Mutts and Martinis at CJ’s. Although our summer is undoubtedly quieter, there is still plenty to do. Many great exhibits at the Center for the Arts, daily yoga at south beach, our world class Historical Museum, fabulous July 4th beach party, monthly beach clean-ups and of course the ever popular outdoor music at the Esplanade every Thursday. Shopping abounds on Marco with mostly quaint mom and pop stores with plenty of retail options. Marco Island is a very safe and community oriented island. We have our own Police Department and Sheriff’s Department with our crime rate virtually zero. Our schools are all “A” rated with lots of parent participation. Marco is a great place to call home. Hideaway Beach – is a gated community located on the northern most tip of the island. This is a private community and the only place where you can have a house right on the beach. They have condos on the golf course, condos on the water, homes on the beach, homes on the golf course and inland homes. There is currently one home on the beach for sale, listed at $7.5M, and one beachfront lot for $4.5M. There are inland homes ranging from $710K to $3.75M depending on the location, and inland lots ranging from $115K to $750K. Condos on the beach are between $759K to $1.545M and inland condos range from $879K to $959K. Cape Marco – is located in the southwestern tip of Marco Island, and has six separate high-rise towers featuring gorgeous, well-appointed condos ranging in size from 1,300 SF to penthouses that measure over 13,000 SF. Cape Marco is comprised of The Merida, Tampico, Monterrey, Cozumel, Belize and Vera Cruz. Each building has its own amenities. Most have their own fitness rooms, theaters, and gathering rooms and some also have boardrooms and guest suites available. Prices range, depending on view and size, from $769K – $3.497M. The Estates Area – is located in the south end of the island, comprising of very large “estate homes”, with large oversized lots, on water direct and close to the Ten Thousand Islands. Some inland homes as well. A lot of “Mega Homes” are located here, due to the size of the lots and beautiful views. Very private and peaceful area. Inland homes range from $579K – $1.8M. Water direct homes range from $1.299M – $7.2M, and water direct lots range from $750K – $4.995M, with water indirect lots ranging from $240K – $725K. Old Marco – is at the northeast corner of the Island and was one of the first developed areas on Marco, as a quaint old fishing village. It now features spectacular condominium complexes and water direct homes. These homes and condos vary in prices depending upon location and size. There are some inland homes and condos as well as water direct homes and condos. Water direct condos range from $199K – $439K, and water direct homes from $975K – $4.75M. Inland condos start around $174K up to $330K. The River Area – is located in the northeast and this beautiful area is generally serene and peaceful. Because it is just a short distance to Naples by boat, it’s the perfect place to be if you are ready to set sail! Water direct homes in the area start from $549K to $3.999M. The South End – is one of the most desirable spots as it is within walking distance to shops and restaurants. Condos and homes are either inland or water direct. Inland condos start at $299K – $695K, water direct condos (most with boat slips) start at $319.9K – $625K. Water direct homes start at $875K – $4.995M and inland homes range between $485K to $625K. The Tigertail Area – near the northern end of Marco Island, Tigertail Beach is a 31-acre stretch of land so people love to live close by. The beach offers water sports and has a lot of natural resources. The homes in this area are within walking/biking distance to the beach. It is comprised of water direct homes (no bridges) starting at $805K – $3.15M and inland homes range from $479K – $785K. Condos – Beachfront condos with 1 to 4 bedrooms range in price from $255K – $9.9M, and Gulf front condos with 2 to 4 bedrooms range from $549K – $1.399M, and Inland condos ranging from $112K – $695K. Something for everyone! This entry was posted in Market News on March 20, 2019 by Tony. The history of Marco Island can be traced as far back as 500 A.D., when the Calusa people inhabited the island as well as the rest of southwest Florida. A number of Calusa artifacts were discovered on Marco Island in 1896 by anthropologist Frank Hamilton Cushing as part of the Pepper-Hearst Expedition. The most notable artifact discovered was the carved wooden “Key Marco Cat” which is now on display at the Smithsonian Institution. When Spanish explorers came to the island in the mid 1500s, they gave the island the name La Isla de San Marcos after Gospel writer St. Mark. Early development of the island began in the late 1800s after the arrival of William Thomas Collier and his family. Collier founded the village of Marco on the island in 1870, and in 1896 Collier’s son, William D. “Capt. Bill” Collier, opened a hotel on the island, known today as the Olde Marco Inn. Clam digging became a major industry on Marco Island and throughout the Ten Thousand Islands in the early 1900s. The Burnham Clam Cannery began operation near Caxambas Pass in 1903 and operated until 1929. The Doxsee Clam Cannery also operated from 1911 to 1947. Ferry service began to the island in 1912, which operated between Marco Island and the Isles of Capri. A road on the mainland linked the ferry landing with East Naples (just west of State Road 951). A small piece of this road still exists today and is known as Barefoot Williams Road. Barron G. Collier (whom Collier County is named after, and of no relation to William T. Collier) purchased a large amount of land on Marco Island in 1922, and in 1927 the island incorporated as Collier City. Collier City was abolished in 1957. James Harvey Doxsee Sr. served as Collier City’s only mayor. Also in 1927, the Atlantic Coast Line Railroad began service to the island after extending their route from Fort Myers and Naples. The railroad ran to the island along the present route of State Road 951. Rail service was discontinued in 1944. The first vehicle bridge to the island was a small wooden swing bridge built in 1938 near Goodland on the southeast side of the island. Remnants of this bridge can be seen today next to the current Goodland Bridge (built in 1975). The island’s ferry service was discontinued after the original Goodland Bridge opened. Significant development of Marco Island took place in the 1960s that made it into the tourist destination it is known as today. The Mackle brothers of the Deltona Corporation led the development of the island after purchasing large amounts of land there for $7 million. As a result of development, the S.S. Jolley Bridge opened for traffic in 1969. 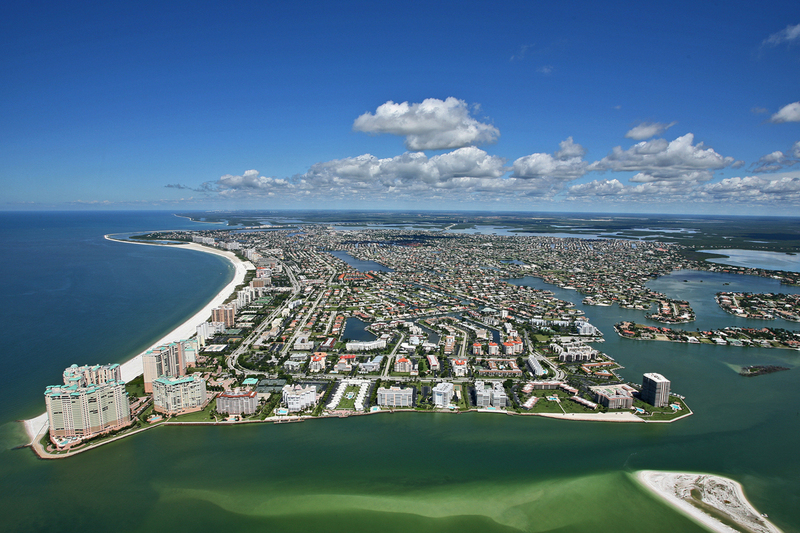 Marco Island was reincorporated as a city on August 28, 1997. 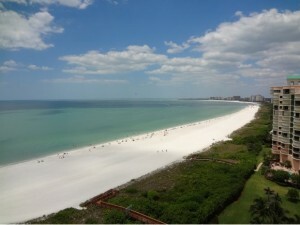 Today Marco Island is a tourist destination, know for it’s sugar sands of crescent beach. 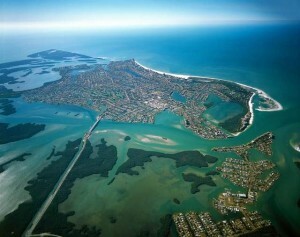 Marco Island has beautiful waterways and is home to the lucky few who buy property here. Call the Walter Team today for your key to paradise. 239-821-0994. This entry was posted in Market News on February 28, 2019 by Tony. 1. Stay diligent. Sign up for property notification on my website or contact me to get ready to pounce. 2. Extremely active properties are easy to research. If you are not working with a buyer’s agent, contact me to find out if the property you’re interested in is at risk. 3. It is not always wise to wait for a property to be reduced. The buyer who wins is the one who approaches the seller with a well-documented offer first. Five of the 19 properties priced over $1000000 sold during the past week sold for less than 90% of list. That’s under average list price to sales price ratios. Many buyers have commented if I would have known they would have taken that number I would have made an offer. Some sellers have come to the realization that a bird in the hand is better than two in the bush. Call me to see if this approach is worth considering. The Wintertime Blues Are In Effect. Buyers interested in Naples real estate are growing weary of the inclement weather. This is going to spur more emotional buying as the season wears on. Unsuspecting buyers already in Naples and those living in warmer climates are usually taken by surprise by the increase in contract activity during this time of year. Reports of increased showing traffic and busier open houses across town are already occurring but few people take into consideration the amount of increase we see on our websites. Not everybody has to be present to win. CALL THE WALTER TEAM TODAY FOR THE SMART BUYER’S CHOICE TO OWNING PARADISE.